No one wants to admit they're a hipster and why would they? As a term, the only thing we can agree on is that it's negative, but other than that the definition is wishy-washy and constantly changing to suit whatever qualities the word's user is trying to detract from. In fact, in a recent poll, only 10% of the population openly identified as being hipsters, which, as we all know, is the least hipster thing that you can do. 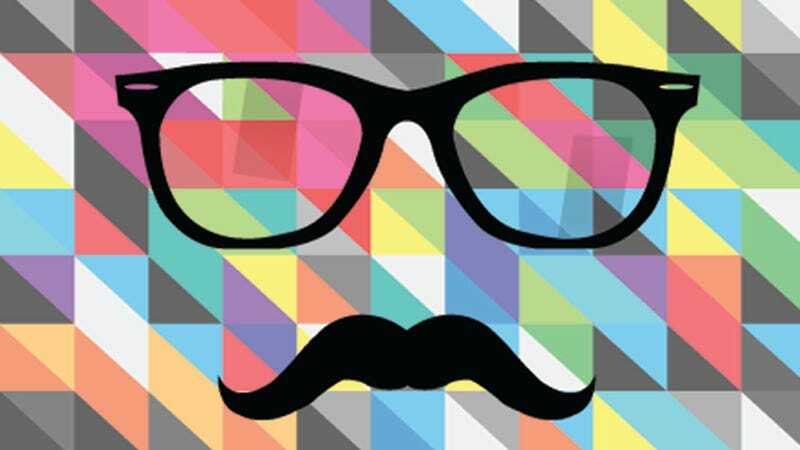 The poll, conducted by Public Policy Polling in Raleigh, North Carolina, found that while 90% of the general population said that they were not hipsters, 50% of those polled between the ages of 18-29 accepted the label readily. 42% of the poll group said that they viewed hipsters unfavorably and 43% just weren't sure how to feel. Democrats were more likely than Republicans to accept hipsters into their hearts, which is weird seeing as some hipster trends are very Grand Old Party. We asked voters whether they thought hipsters made a positive cultural contribution to society or whether they just “soullessly appropriate cultural tropes from the past for their own ironic amusement.” 23% of voters said they made positive cultural contributions while nearly half – 46% – went with soulless cultural appropriation. Independents at 31% were most likely to say hipsters make a positive cultural contribution, while Republicans were least likely (15%) with Democrats in the middle (23%). 27% of voters said they thought hipsters should be subjected to a special tax for being so annoying, while 73% did not think so. We still have to decide what "hipster" means, though. A lot of the people who I consider to be hipsters are also really into activism, public art and urban farming. We can roll our eyes at all we want, but come on — those are positive contributions to society so it's not like it's all about wearing Native American headdresses and getting wasted at Coachella (though there's a sad amount of that, too). Truth is that young people have always been considered obnoxious, selfish and careless to the olds, but that's not because they're hipsters with their damn fixies or flappers with their crazy jazz or hippies with their not getting jobs. It's because people in general are obnoxious, selfish and careless, but it's easier to identify that in other people than it is to identify in yourself. What am I saying? Three weeks ago, I was forced to pay $6 for a High Life from a bartender in a top hat. Hipsters are the worst.